Our organization hold expertise in providing superior grade BWP Marine Plywood to our precious customers. Our offered BWP Marine Plywood is widely appreciated by our customers, which are situated all round the nation. Known for its best quality, clients can avail this BWP Marine Plywood at industry leading prices from us. ISI 710 BWP Plywood. Sizes Available Are 6MM, 12MM 16MM & 18MM. 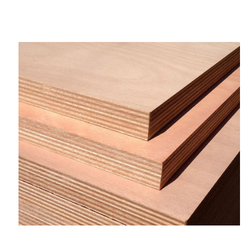 CenturyPly Club Prime (BWP Marine Plywood) is one of the few brands to be made bypre pressing, where each veneer is treated with preservatives prior to pressing, ensuringuniform distribution of moisture and adhesive throughout the panel. CenturyPly Club Prime (BWP Marine Plywood) is one of the few brands to be made by pre pressing, where each veneer is treated with preservatives prior to pressing, ensuring uniform distribution of moisture and adhesive throughout the panel.